Ken Capone Equal Employment Act – 2018 Report | Service Coordination, Inc. 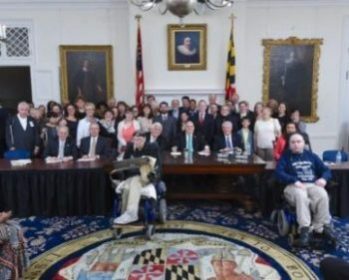 In October, 2018, the Maryland Department of Disability (MDOD) and the Developmental Disabilities Administration (DDA) released their second joint report outlining progress on the plan and phase out of sub-minimum wage jobs and the use of 14c certificates, through the Individuals with Disabilities- Minimum Wage and Community Integration, also known as the Ken Capone Equal Employment Act. The MDOD and the DDA also work in partnership with other relevant Maryland State agencies, including the Department of Commerce (MDOC), the Maryland State Department of Education (MSDE), the Department of Labor Licensing and Regulation (DLLR) and the Division of Rehabilitation Services (DORS) on the development and implementation of the plan to phase out sub-minimum wage jobs on or before Oct. 1, 2020. Click here to view the final October 2018 report.